Yippee - just in time for the freezing weather. 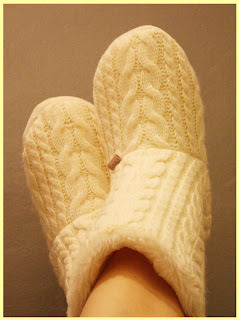 They are so warm and cosy I never want to take them off my feet again - ever! They sure look beautiful and warm.